An online appointment scheduling tool transformed beer distributor Crescent Crown Distributing's bottlenecked loading dock, creating a steady stream of deliveries. An online appointment scheduling system gave beer distributor Crescent Crown control over trucks pouring into its distribution center. Any company would raise its glass to earning accolades and achieving substantial growth. Privately held beer distributor Crescent Crown Distributing LLC—nationally recognized among both suppliers and peers for its best practices and industry standards—has doubled in size over the past nine years, making it one of the United States' five largest beer distributors. But as the company grew, delivery scheduling became a daily headache because trucks arrived without appointments. 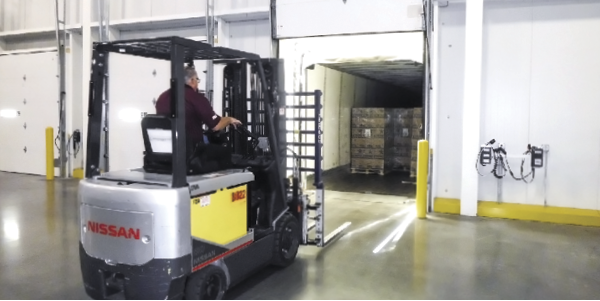 Scott Trotter, warehouse manager at Crescent Crown's Phoenix location, knew he needed an improved and more effective delivery management process. An online appointment scheduling tool would prove to be the answer. Founded in 2004, Crescent Crown distributes for MillerCoors, Crown Imports LLC, Heineken USA, New Belgium Brewery, Pabst Brewing Company, Mike's Hard Lemonade, Alaskan Brewing, and other beer suppliers. It's also a distributor for such non-alcoholic beverages as Welch's, Sunny Delight, Activate, and Jana Water.